Priyanka Chopra recently unveiled her wax statue at Madame Tussauds in New York. 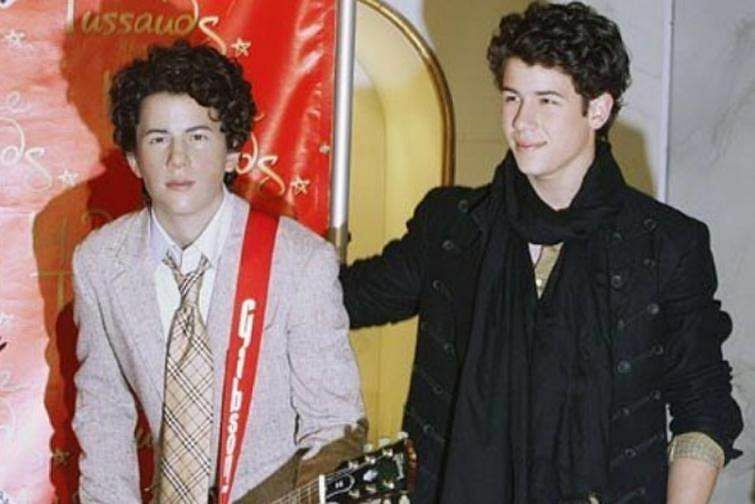 Now, her husband and American singer Nick Jonas has also shared a throwback picture with his own wax statue. Nick’s picture is from 2009 when the New York Madame Tussauds unveiled the wax figures of the Jonas Brothers—Nick, Joe and Kevin. He wrote: “Weird flex but okay #tbt,” with the internet’s current favourite phrase. On her Instagram, Priyanka said that the process began six months ago, and shared clips showing the team of Madame Tussauds taking her measurements and working together to get the statue done. Her wax figure shows her wearing a red flowing gown, bringing back memories of her iconic look from the 2016 Emmy Awards. It also has a bit of sparkle as the figure also sports a replica diamond wedding ring. On the work front, both Nick and Priyanka have film projects that are currently in the pipeline.